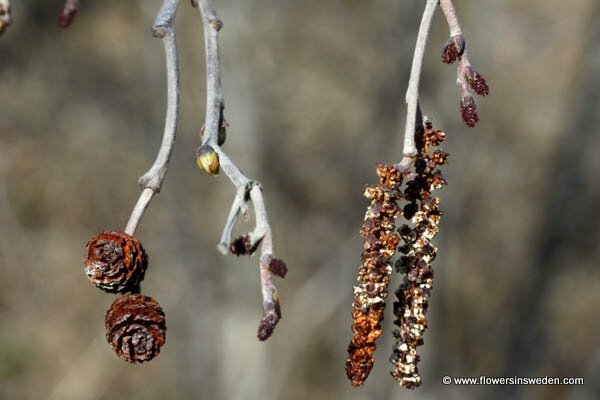 Flowers: Unisexual catkins, borne separately, but on the same tree (the species monoecious). The seed catkins are cone-like, cylindric to ovoid, 1-2 cm long, erect, sessile or on a short, stout stalk, generally remaining intact after release of fruits in spring. 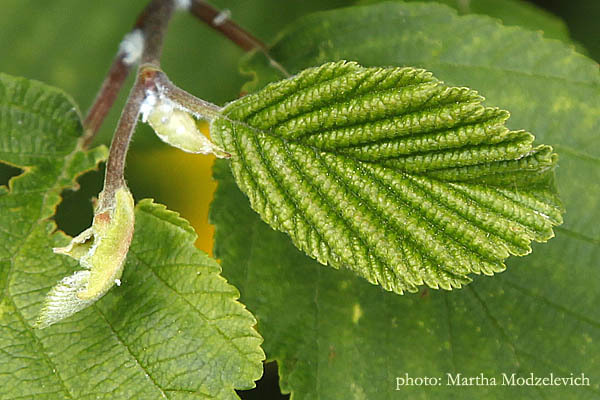 The pollen catkins are elongate, 2-7 cm long, in hanging clusters from near the shoot tip. 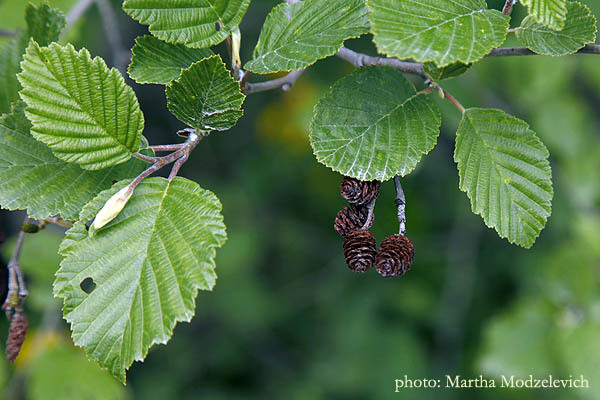 Alnus, the classical Latin name. 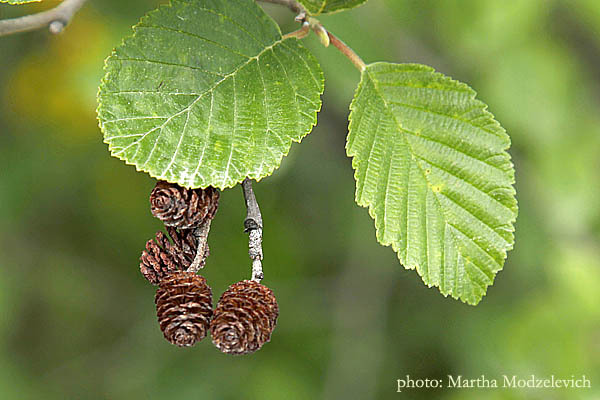 Alder from Middle Englishaller, from Old English alor, from Proto-Germanic aluz, akin to Old Norse ǫlr. speckled in reference to the numerous lenticels covering the bark. The standard author abbreviation Moensch is used to indicate Conrad Moench (1744 – 1805), a German botanist. The catkins are mainly wind-pollinated, but also visited by bees to a small extent.